Are your employees leaving your Providence workplace to go out and get snacks or coffee? American Food & Vending can install vending machines, at no cost, that will put an end to those wasted minutes when employees go out for those items. 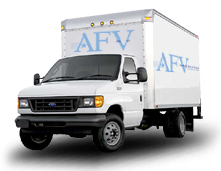 American Food & Vending serves Providence and surrounding areas with a wide variety of vending machines, water filtration systems, and coffee services. For over thirty years we have been providing the best in equipment, brand name products, and generic food and drink selections available. 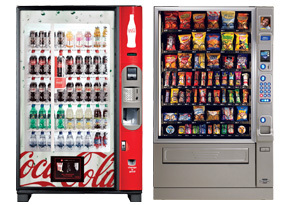 Pepsi vending machines, Coke vending machines, healthy food and drinks dispensed by vending machines, hot and cold food vending machines, candy vending machines, coffee vending machines, and vending machines with traditional snack foods. Whatever the wants and needs of your Providence business, we will be accommodating. Your Providence business can have the best possible coffee in town with American Food & Vending’s coffee service! We will keep the break room supplied with coffee, teas, filters, cups, stir sticks, sweeteners, creamers, and napkins. No more hassles for you. Employees can grab a delicious cup of Joe, and get back to their job! Call us or click on the contact us tab of our website. Your employees will applaud your decision! (800) 553-2222.